If you’re like most IT leaders, you’re invested heavily in the latest security tools. Yet you’re still inundated with ransomware and other advanced malware, credential phishing, email fraud and more. 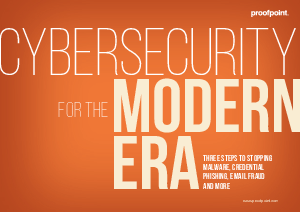 You’re spending more time dealing with a growing volume of threats. And you’re seeing a shrinking return from your security investments. That’s because most of today’s attacks play off human weaknesses. Download this whitepaper today to find out the top tips on how to choose tools and solutions to improve behaviours and outcomes.